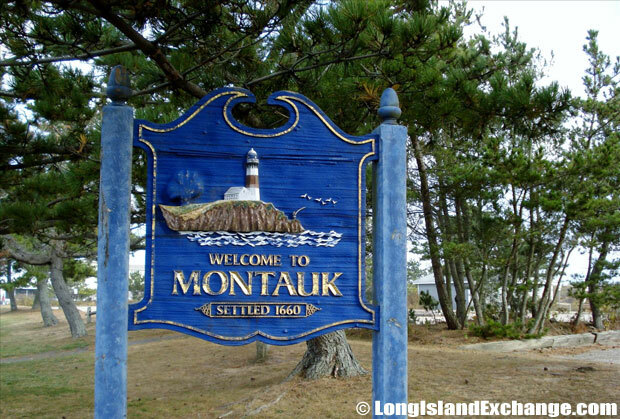 Montauk is a hamlet and census-designated place located in Suffolk County, on the South Shore of Long Island, New York. 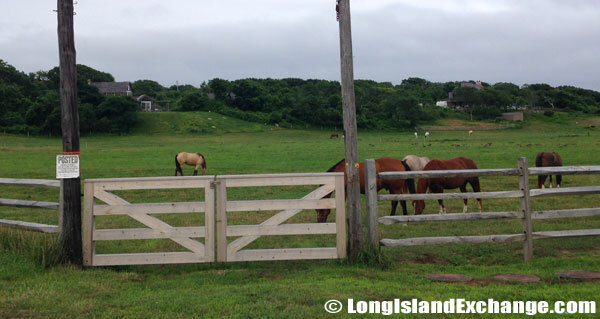 It is within the Town of East Hampton. 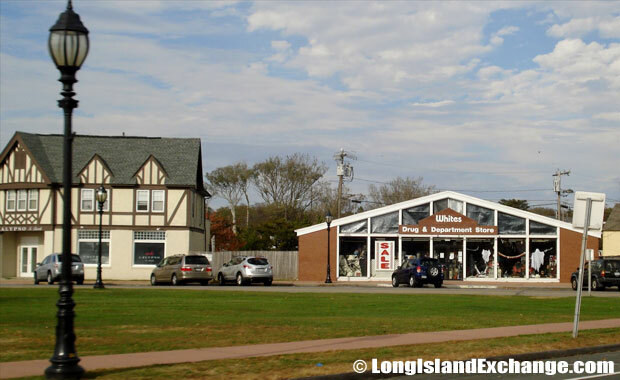 The area is considered a beach resort using its position at the tip of Long Island to promote itself as “The Living End” or “The Last Resort” and become one of the busiest tourist locations within the town of East Hampton. It is also home to the famous Montauk Point Lighthouse, the tower and grounds are maintained by the Montauk Historical Society. A sign on the south side of the road welcomes visitors and residents to Montauk. Looking towards Whites Drug and Department Store. 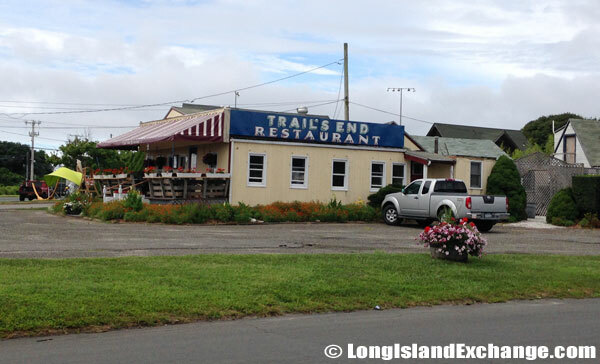 The Sands Hotel on Montauk Highway as you enter the city center. 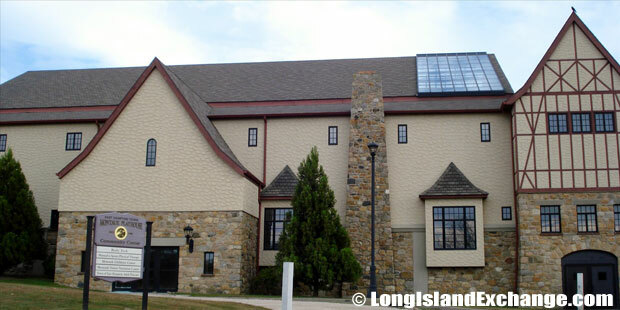 Town of East Hampton owned and operated Montauk Playhouse Community Center. 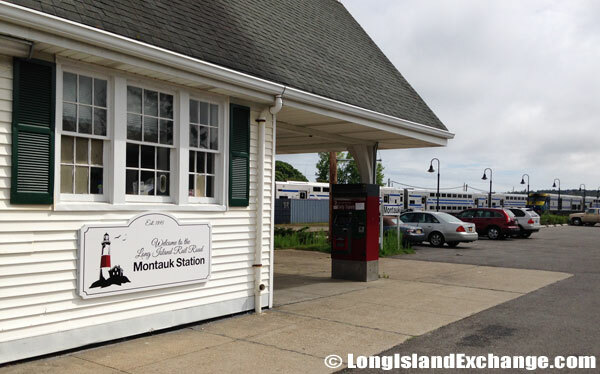 The Long Island Railroad Montauk Train Station. 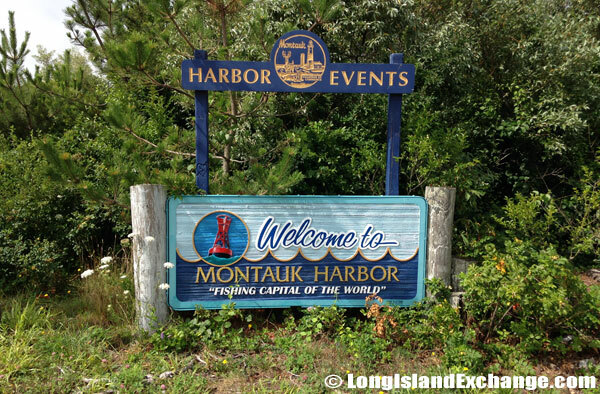 A sign welcomes visitors to Montauk Harbor, the fishing capital of the world. As of the 2010 census, there were 3,326 people, 1,422 households, and 898 families residing in the CDP. The median income for a household in the hamlet was $71,593, and the median income for a family was $83,482. The latitude of Montauk is 41.035N. The longitude is -71.955W. It is in the Eastern Standard time zone. Elevation is 33 feet. 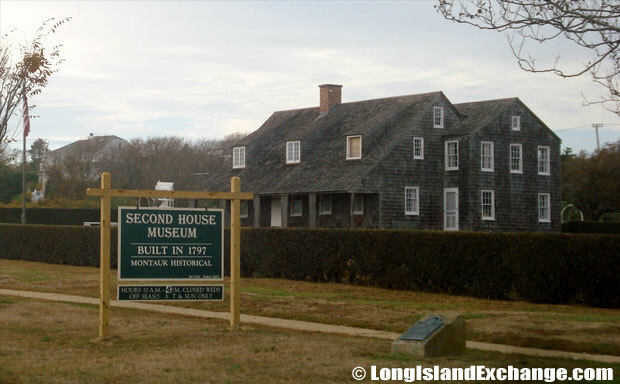 The Montauk Second House Museum, built in 1797 and operated by the Montauk Historical Society. 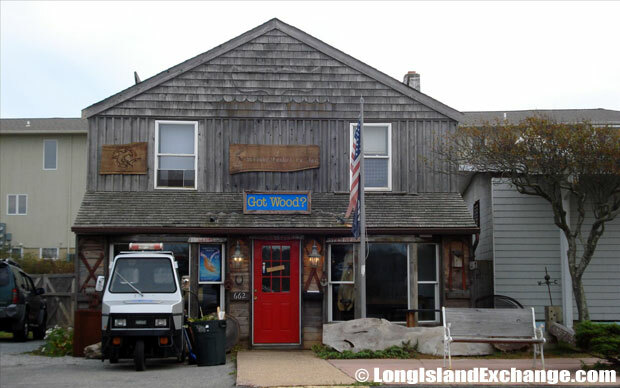 Antique Lumber Company of Montauk: Got Wood? A fishing boat advertises its half day fishing charter services. Lake Montauk, the 900 acre home to the largest commercial and sporting fish fleets in the state of New York. Some people say the name derives from Algonquian for “fort” for an Indian stockade on the site. Another says it derives from a term for “hilly land.” In 1747, the first known cattle ranch in the nation was established in Montauk. 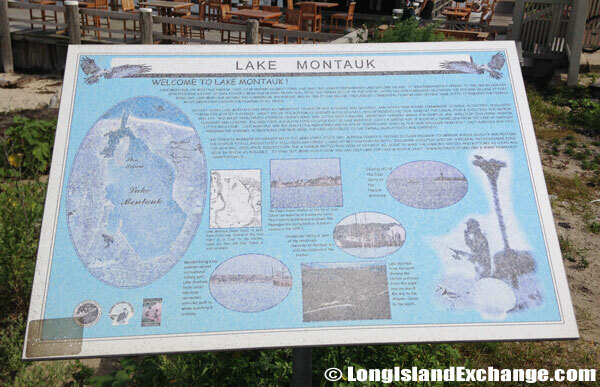 The first hamlet of Montauk was built on Fort Pond Bay near what is the train station for the Long Island Rail Road. It provides train service to Pennsylvania Station and Hampton Jitney provides bus service to the Upper East Side of Manhattan. 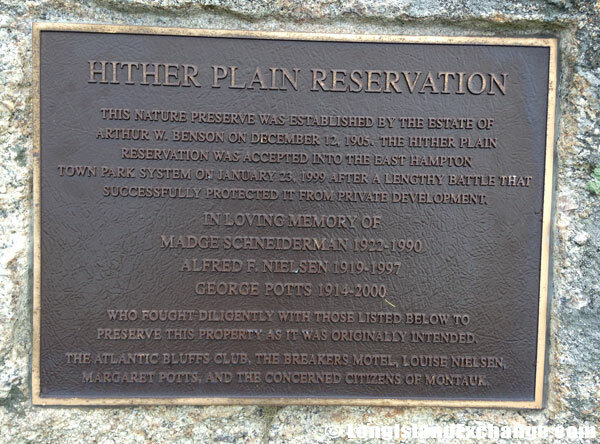 In the 20th century, there were many establishments were constructed in the area which Robert Moses began reproving Benson land to establish state parks on either end of Montauk; Hither Hills State Park in the west and the Montauk Point State Park in the east. The two parks were to be connected via the Montauk Parkway. 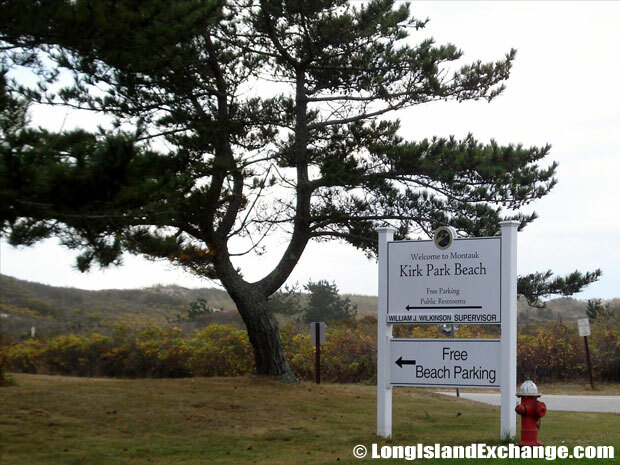 Kirk Park Beach, located at on Main Street. 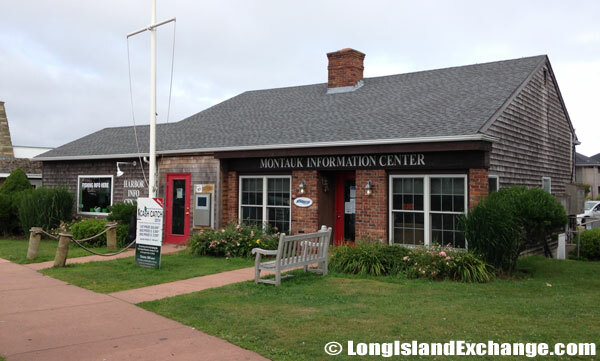 Montauk Information Center run by the Montauk Chamber of Commerce. 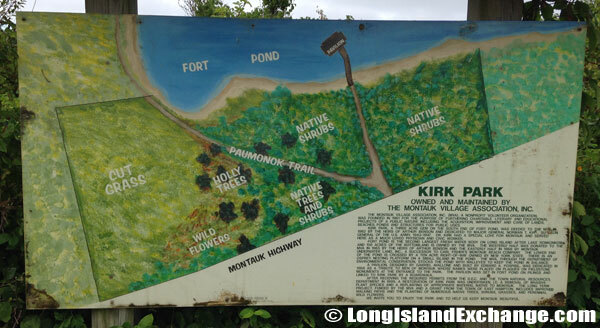 A map of the area owned and maintained by the Montauk Village Association known as Kirk Park. Looking over the rocks at Montauk Harbor. The racial-makeup of Montauk comprises of 87.04% White, 0.86% African American, 0.10% Native American, 0.83% Asian, 9.76% from other races, and 1.40% from two or more races. 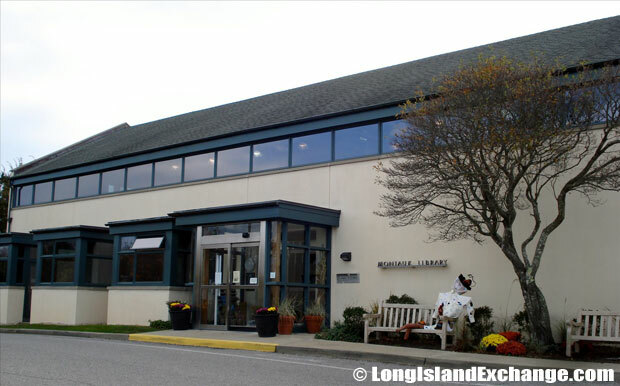 The community is served by Montauk Union Free School District which has their own library that help students become literate citizens. Montauk is world renown for its captivating coastlines and pristine beaches on the Atlantic Ocean and Block Island Sound. 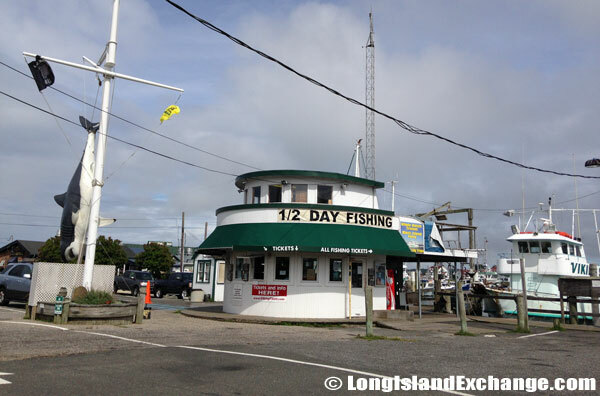 It is often referred to as one of the “Fishing Capitals of the World” which the area features more than 20 marinas over 200 charter/party fishing boats many reeling in world record and prize winning catches of tuna, shark, striped bass, and fluke. 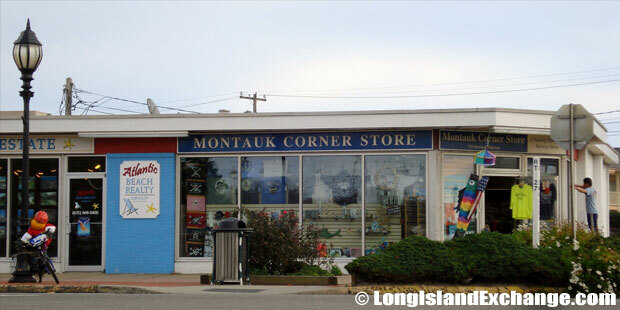 Montauk Corner Store sells clothing and iconic memorabilia. 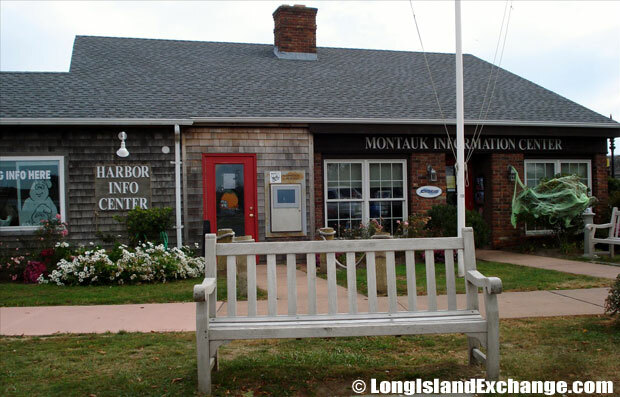 Montauk Information Center is located inside the office of the Montauk Chamber of Commerce. 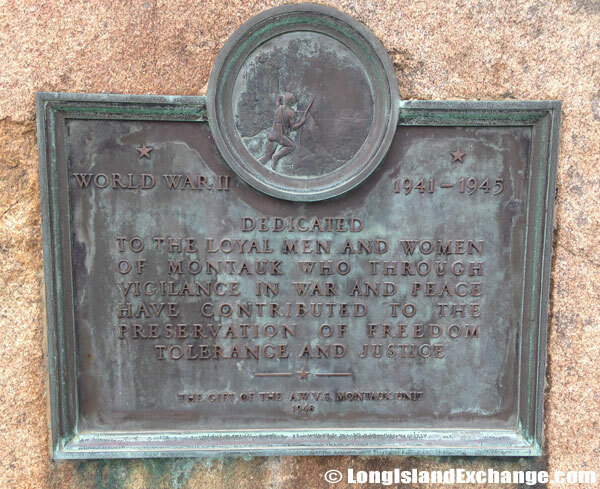 World War II dedication to the men and women of Montauk. 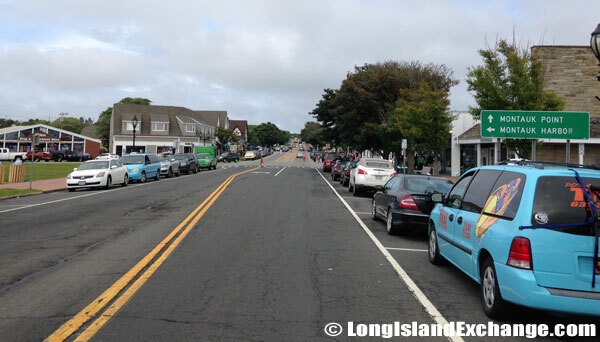 Looking east on Montauk Highway just as you enter the area of Montauk with shops and restaurants. The Trails End Restaurant near the city circle. There are also lots of recreational activities including spectacular fishing, a numerous water sports, world class golf, tennis, and abundant restaurants featuring the freshest seafood that really suites everyone’s taste. The Montauk Point Lighthouse is one of the area’s tourist spots and is considered to be the first lighthouse in New York State and is the fourth oldest active lighthouse in the United States. 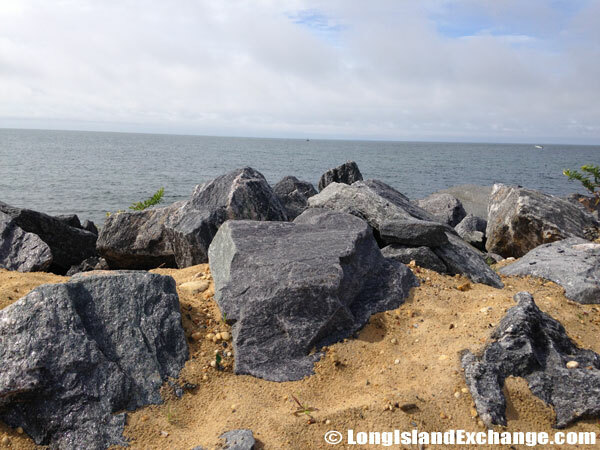 Montauk is also a major tourist destination for its six famous state parks: Hither Hills State Park, Shadmoor State Park, Montauk Downs State Park, Amsterdam Beach State Park, Camp Hero State Park, and Montauk Point State Park. 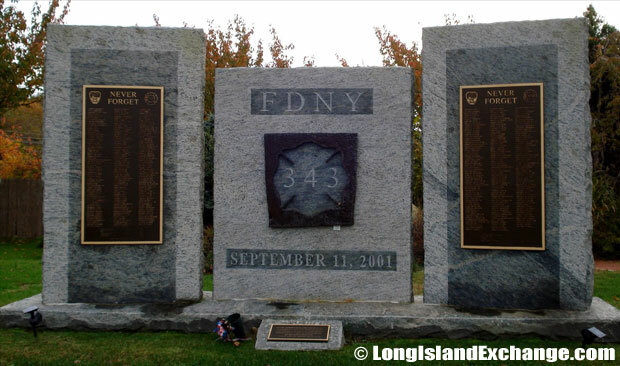 A memorial to September 11, 2001 as the Montauk Fire Department. Horses wait for their next rider. 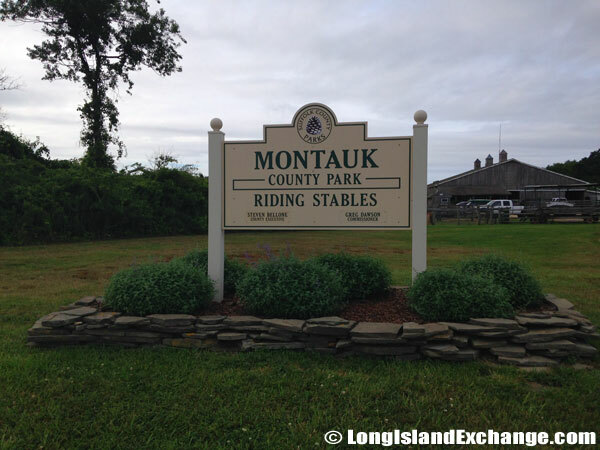 The Montauk County Park and Riding Stables. This sign is at the entrance on the north side of Montauk Highway. Locals also call it the Theodore Roosevelt County Park or Deep Hollow Ranch. 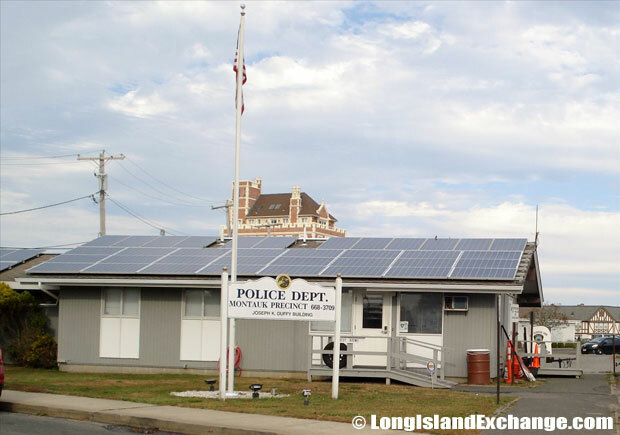 For pictures specifically of the Montauk Lighthouse visit the Lighthouse Page. We also have a page specifically for the State Park.